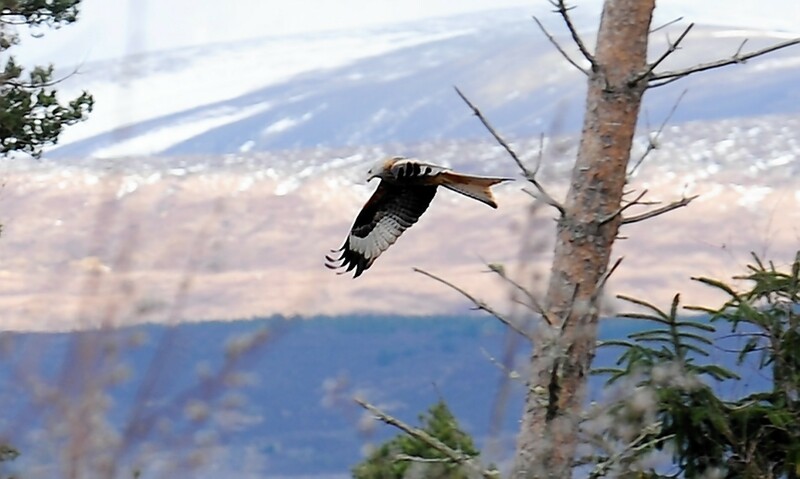 The unsolved poisoning of 16 raptors in the Black Isle last year has been put back in the spotlight in a new short film. Budding Aberdeenshire wildlife filmmaker Lisa Marley, 24, shot “Red Skye on the Black Isle” earlier this year to explore the incident which sparked outrage at the time. Twelve red kites and four buzzards were found to have died after consuming an illegal poison in March and April last year. A further four red kites and two buzzards were also found dead in the same area near Conon Bridge, but it has never been confirmed whether they were also poisoned. A criminal investigation into the incident remains live. Miss Marley recently completed a masters degree in film production at Bristol University, with the Black Isle part of her coursework. Featured in the 12 minute film is red kite project officer Brian Etheridge, who discovered many of the dead birds, and Tollie red kite visitor centre volunteer, Andrea Goddard, who describes the weeks over the which the birds were found as a “crescendo of death”. Mr Etheridge said: “You spend 20 years working towards the conservation of these birds and every bird matters and suddenly I’m picking up birds which had just been poisoned. Miss Marley also interviewed farmer Ewan Macdonald, who had his farm and land at Conon Braes searched as part of the police investigation. Nothing was found, which Mr Macdonald described as a “miracle”. A police spokeswoman said the investigation was still on-going. “Police Scotland and partners have kept this investigation under review to ensure we are using every evidential opportunity open to us,” she said.